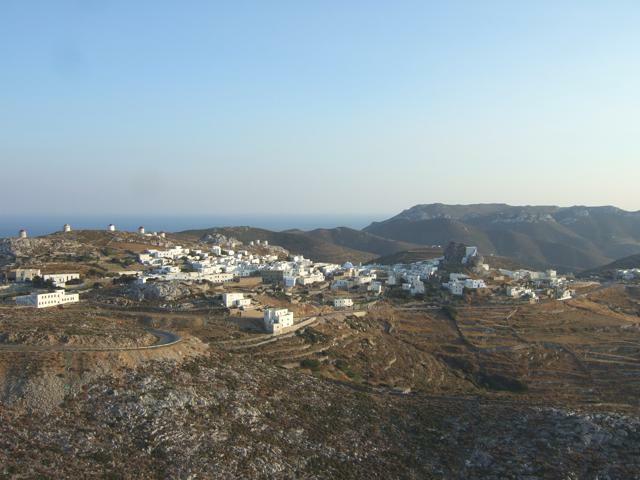 The capital of Amorgos is called Chora, it is the most beautiful Chora in the Cyclades, is built around a castle. 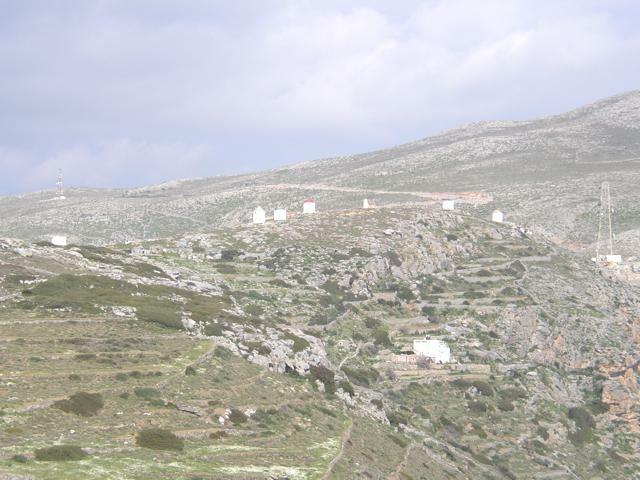 It has 330 inhabitants, is located in the center of the island at an altitude of 350m to the SE side of mountain Prophitis Ilias and 5 km. from Katapola. A picturesque village, impresses visitors with its rich historical tradition. Its characteristics are the decorated narrow streets, white houses, the small squares, white small churches, old mansions and the picturesque windmills, a beautiful classic Cycladic architecture, while maintains the traditional character, despite the development of tourism. Chora is the only village of the island, which keeps alive the memories of the past centuries, Byzantium, Venetian, Ottoman and the earliest of the modern Greek nation. The typical picture of the village is the Venetian Castle of the 13th century, built to defend the village from pirates around a rock in the middle of the village. In “Vorina” place the oldest ruins were found that show that the area was inhabited from the third BC millennium. 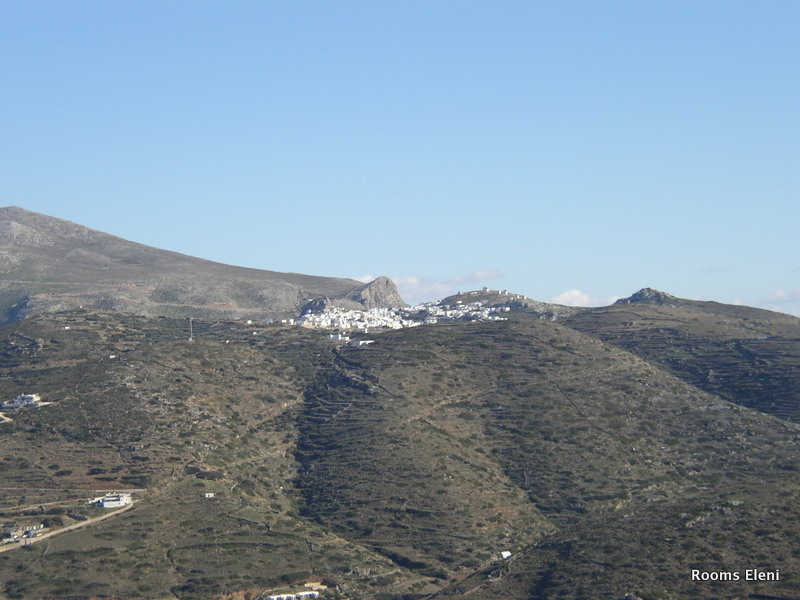 Intense is the evidence for habitation in the early Byzantine period, when big part of Chora was built. 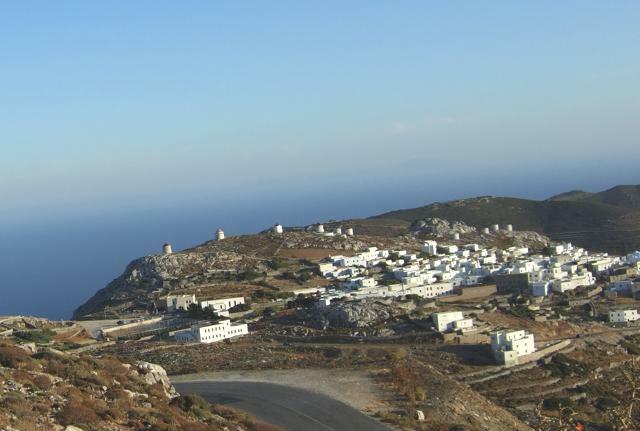 Then in Amorgos, as in all the Cycladic islands population was moved to the mainland and the fortifications for protection from pirates were built. 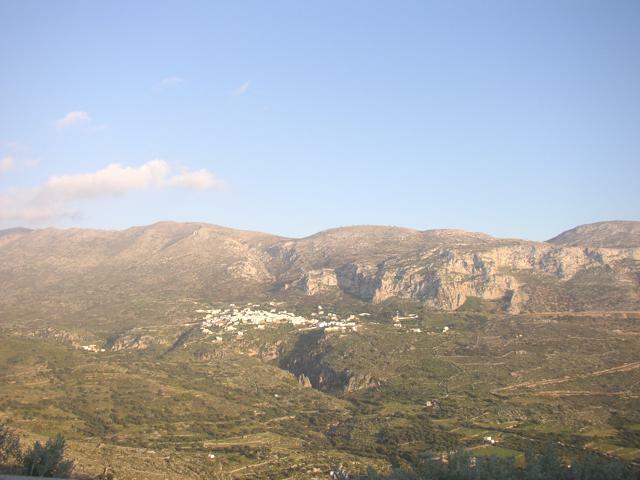 The Tower of Gavra in the town center is an old mansion that houses the archaeological museum with exhibits significantly the history of Amorgos. 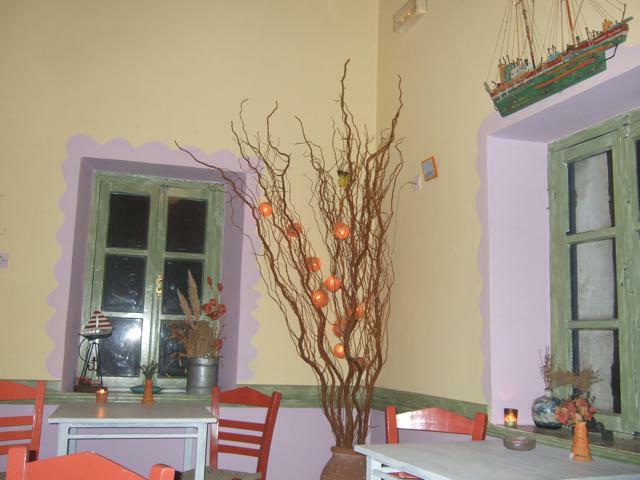 Other attractions are the first high school founded in Greece after the revolution of 1821, a historic building with neoclassical elements and the square of the village, Loza where all the festivals and gatherings of people are hapenning. Dozens of churches (about 30) with unique Byzantine relics, such as Aioi Pantes (1644), Vlysano, Agiow Nikolas, the Cathedral, the Agioi Apostoloi (1689), Agia Theodosia (1767), Zoodochos Pigi, the Glebe of Christ – one of the finest surviving monuments of the island. 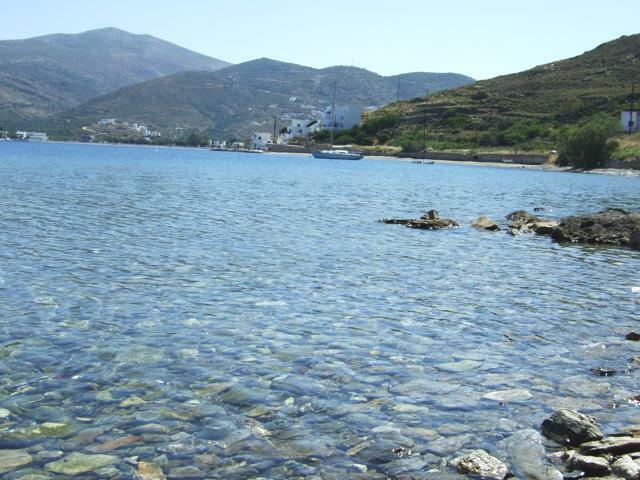 Within walking distance (2.5 km) are the rocky and pebbly beaches Agia Anna and Kambi, with exceptional water clarity. Here one can deal with fishing or diving. 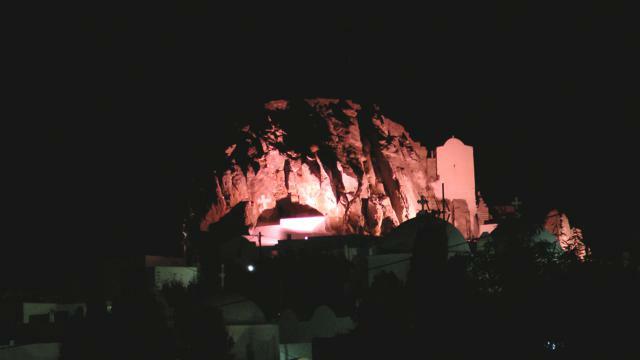 3 km away lies the monastery Chozoviotissa.